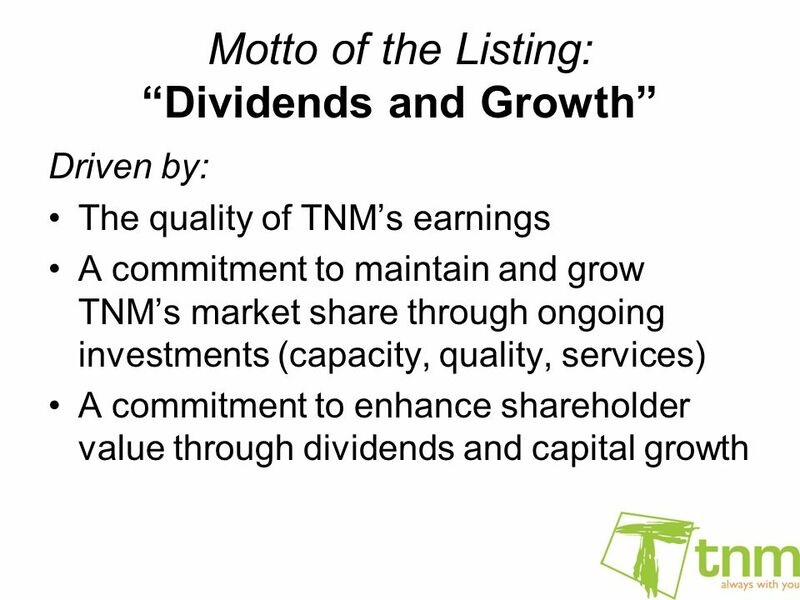 TNM’s listing e.g. 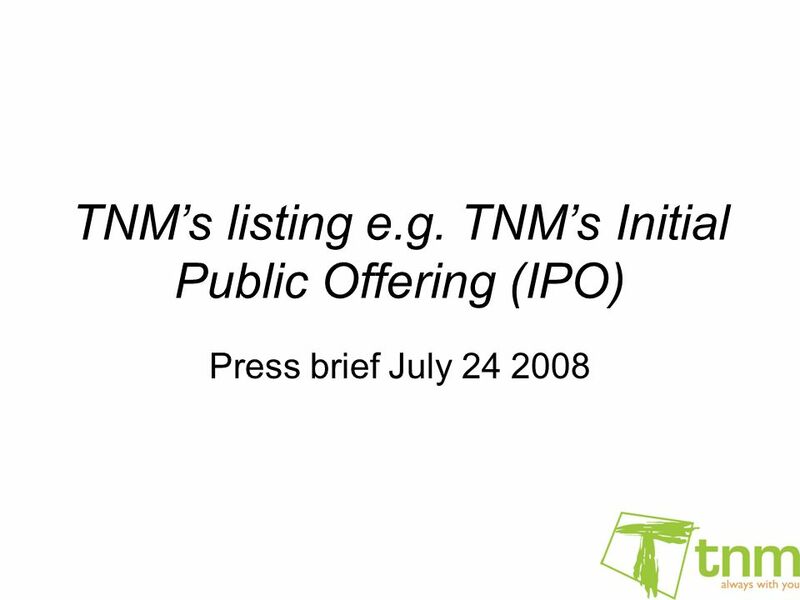 TNM’s Initial Public Offering (IPO) Press brief July 24 2008. 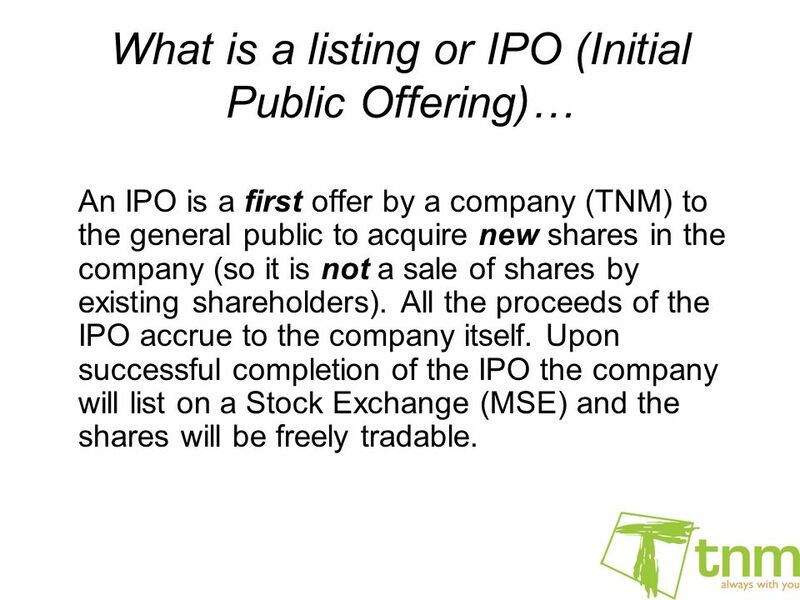 3 What is a listing or IPO (Initial Public Offering)… An IPO is a first offer by a company (TNM) to the general public to acquire new shares in the company (so it is not a sale of shares by existing shareholders). All the proceeds of the IPO accrue to the company itself. 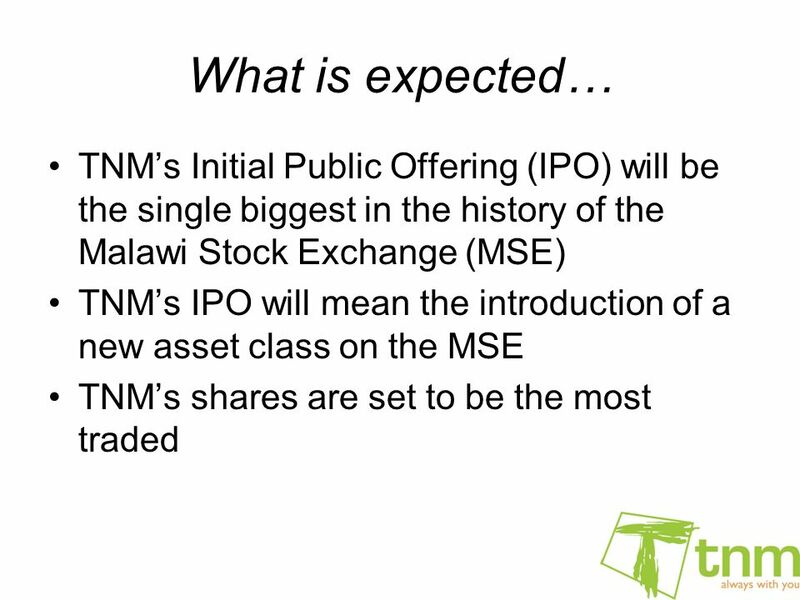 Upon successful completion of the IPO the company will list on a Stock Exchange (MSE) and the shares will be freely tradable. 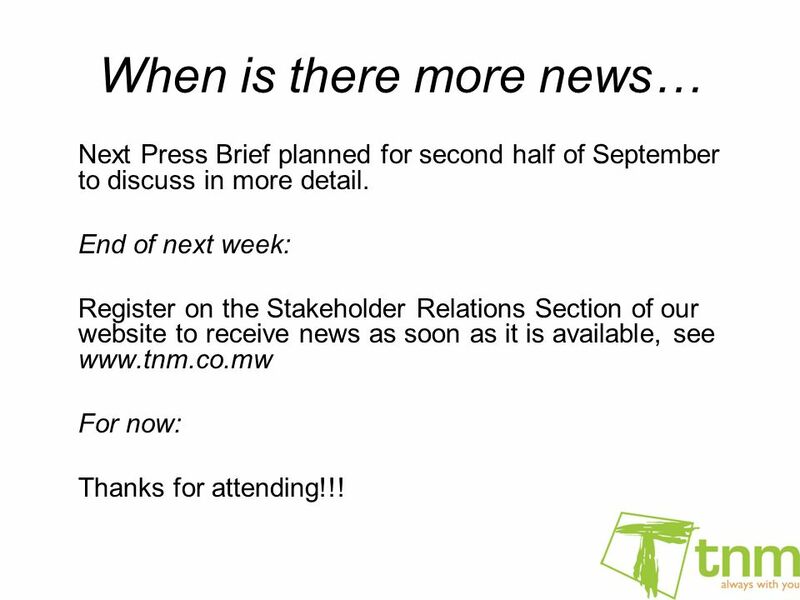 9 When is there more news… Next Press Brief planned for second half of September to discuss in more detail. 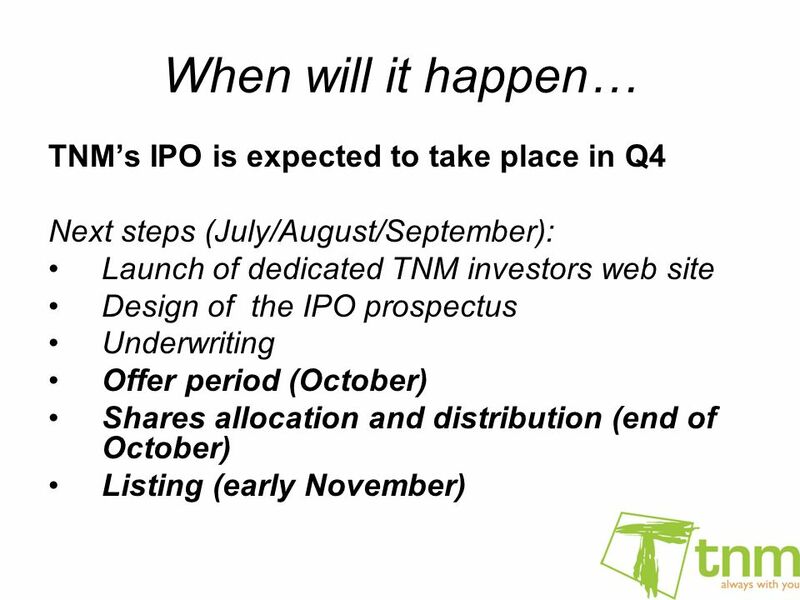 End of next week: Register on the Stakeholder Relations Section of our website to receive news as soon as it is available, see www.tnm.co.mw For now: Thanks for attending!!! 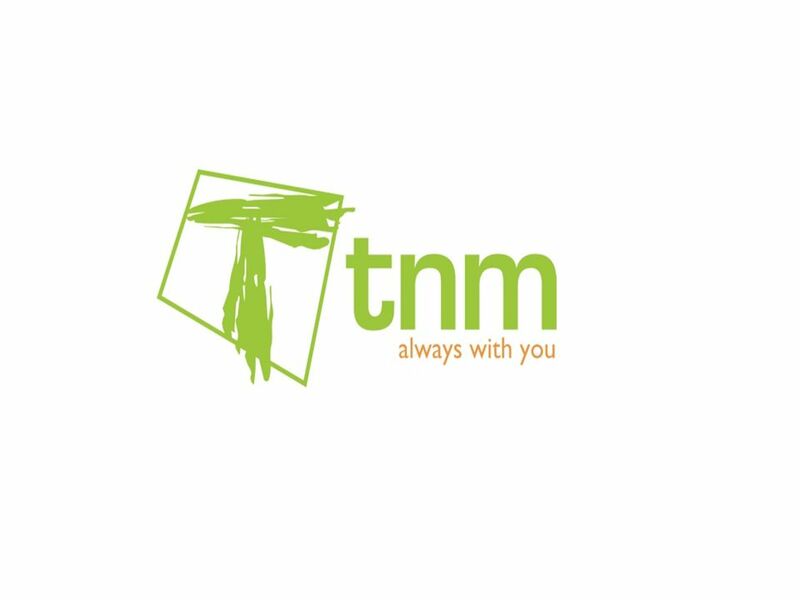 Download ppt "TNM’s listing e.g. 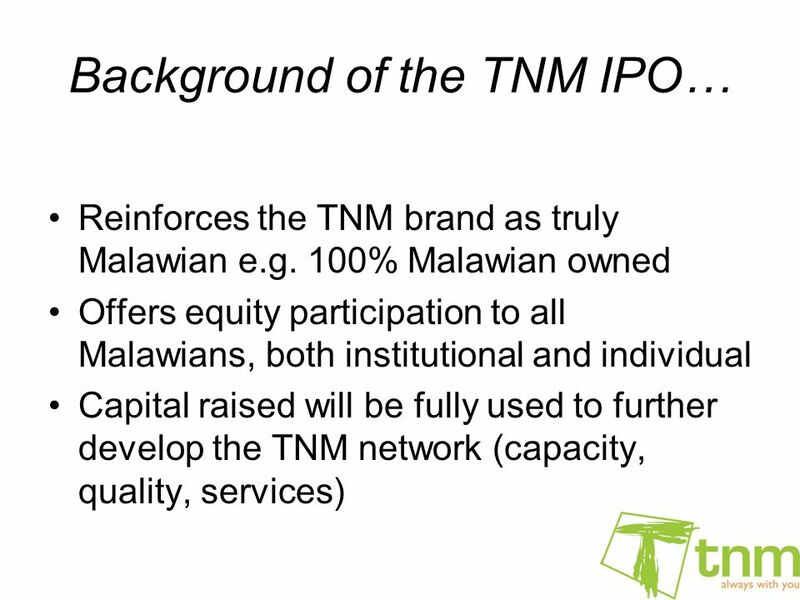 TNM’s Initial Public Offering (IPO) Press brief July 24 2008." Listing in London the routes to market Tel Aviv, November 2006. SECURITIES: STOCKS & BONDS STOCKS & SHARES (U15) EQUITY FINANCING (part ownership) BONDS (U16) DEBT FINANCING (loans) MARKETS = exchanges Stock MarketsBond. AWB LIMITED’S INITIAL PUBLIC OFFER Monday 9 July 2001. Equity financing alternatives for Russian companies on the London Stock Exchange October 20, 2006. Cal-Xelerator "Create to great in 108" is a 108 day startup launch business accelerator for life science, tech and social good enterprises. 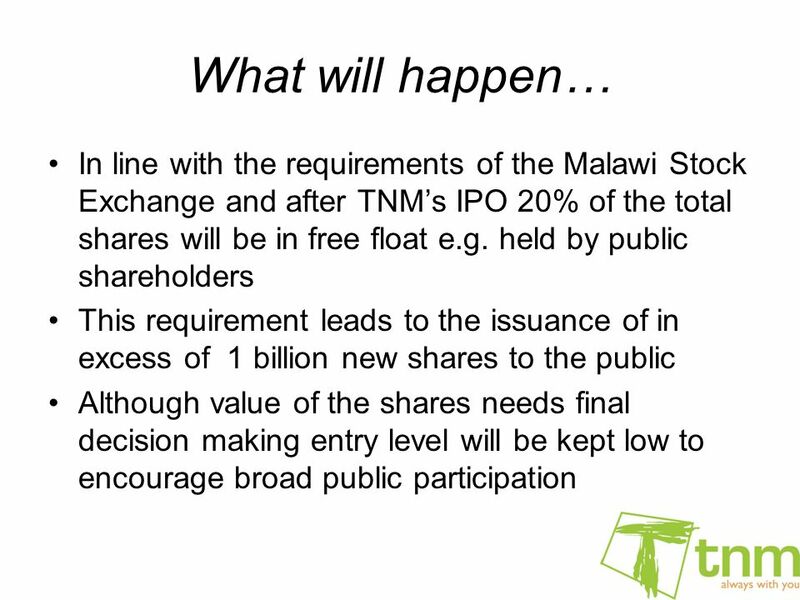 WATTSTOR Limited Inaugural Shareholders Meeting Friday 10 th October 2014. Morgan Stanley December 7th, 2004 By Adam Freda. FIN437 Vicentiu Covrig 1 Raising equity capital (see chapter 23 in Berk and Demarzo “ The Mechanics of Raising Equity Capital”) “ The Mechanics of Raising. 1 Investment Companies Chapter 3 Jones, Investments: Analysis and Management. Financial Accounting Dave Ludwick, P.Eng, MBA, PMP, PhD Chapter 15 Organization of Corporations. 1 Chapter 18 Issuing Capital and the Investment Banking Process McGraw-Hill/Irwin Copyright © 2012 by The McGraw-Hill Companies, Inc. All rights reserved. Hedge Fund Strategies 101: Event Driven Hedge Fund Fundamentals | January 2015. STOCKS/SHARES /EQUITIES. A few things to remember...  Individuals and groups of people doing business as a partnership, have liability for. SPONSORSHIP OFFER 19 th and 20 th November 2013. About BgVF 2013 The largest investment conference in the region! Dedicated to startups, venture capital.